Vella says the people behind the recall are an angry minority. 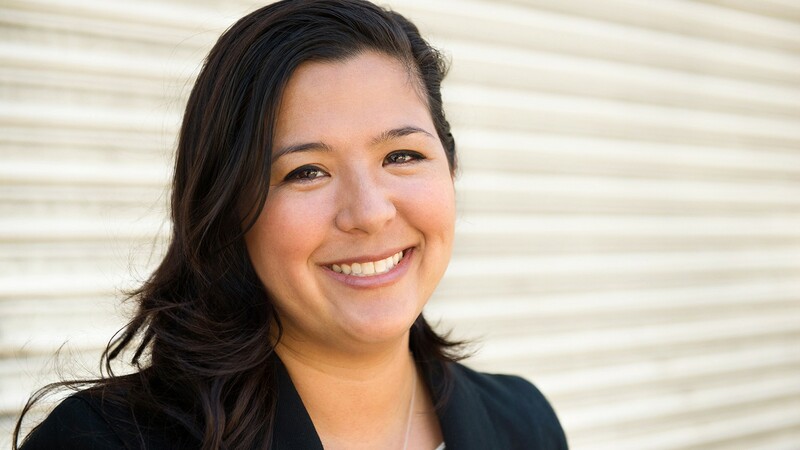 Alameda progressives just won a sweeping, yet hard-fought election campaign. But their opponents are already readying themselves for another bruising election battle: a recall of progressive Councilmember Malia Vella. Conservative critics of Vella and fellow progressive Jim Oddie, who just won re-election to the council, filed a recall petition last month, and it was approved by the Alameda city clerk to begin the signature-gathering process soon. Vella's opponents intend to recall the first-term councilmember for alleged "improper handling" of the fire-chief hiring controversy earlier this year involving then-City Manager Jill Keimach. However, Vella already has some powerful allies in her fight to remain on the council: Last week, Alameda County Democrats approved a resolution instructing elected officials to not support the recall against her. Vella's critics have offered few specifics as to why she should be removed. Last month, Vella issued an official response in opposition to the recall petition. In order for a recall to actually make it onto the Alameda ballot, it will need to secure more than 9,400 valid signatures within 120 days. That might be a tough battle considering proponents won't be receiving any help from the local Democratic establishment. "Alameda has a long history of high-ranking — unelected officials — meddling in the political process," Alameda County Democratic Party Treasurer Royce Kelley said last week at the party's central committee meeting in Oakland. Earlier this decade, Alameda's appointed city attorney unsuccessfully attempted to remove then-Councilmember Lena Tam from office, added Kelley. "It's happened again. This last year, the city manager attempted to entrap two councilmembers by secretly recording them." Kelley was referring to Keimach surreptitiously recording a closed-door meeting with Vella and Oddie. Soon after, Keimach parted ways with the city after the council placed her on leave. The party's resolution calls on Democrats to publicly oppose the recall petition. "We call on our Democratic elected officials and allied organizations to not support the recall in any manner, be it financial, an endorsement, or any other way, and ask them to work and speak up in opposition," the resolution stated. The decision by the Alameda County Democratic hierarchy to move quickly to support Vella and warn other Democrats to steer clear of the recall is somewhat unprecedented, especially so early in the process. Few Democrats in Alameda or in surrounding cities appear poised to aid the cause against Vella, but Councilmember-elect Tony Daysog, a Democrat, ran hard on a platform of cleaning up City Hall, as did attorney Robert Matz, another Democrat, who nearly won the third available seat on the council earlier this month and is showing signs that he intends to continue building on the initial success of his campaign. Oddie, a member of the Alameda County Democratic Central Committee, said Vella has long been the target of racism by some conservative Island residents. "I've seen people question her citizenship. I've seen people question where she was born. I've seen people question where she lives," Oddie told the central committee. "I have never seen someone exposed to so much blatant racism and hatred every two weeks on the Alameda City Council." Noting Vella's activism in the labor movement, central committee member Howard Egerman called for Democrats to rally behind her. "It really upsets me that these schlemiels — and that's the only thing I can think of them in Alameda — are doing these things," he said. "We just have to say no to these idiots." The recall effort is led by Alameda resident Stephen Slauson, a Republican candidate who was easily defeated by 18th District Assemblymember Rob Bonta in the Nov. 6 election. Last spring, in a nod to Donald Trump's bogus claim that Barack Obama was not born in the United States, Slauson questioned Bonta's citizenship. Slauson's group attempted to initiate the recall process last summer against Oddie but failed to conclude the effort in the required timeframe. They later attempted to recall Vella but also failed, and then recently revived their efforts. The current campaign against Vella, however, is also plagued with missteps. Proponents are awaiting final approval by the city clerk to proceed after some minor formatting issues are corrected on their petition. As a result, their volunteers will soon be asking Alameda registered voters to sign the recall petition. But exactly why Slauson and his group are targeting Vella for a recall is still a mystery. No specific reason for the recall was given by Slauson in an interview last summer in our sister publication, Alameda Magazine. He could not be reached for comment for this report. "Overall, the incompetence for what is a joke of a recall has been astounding. There's other things that we should be focused on as a city," Vella told the Express. "I don't know what the recall is about, and I don't think they know what the recall is about. Recalls exist not because you disagree with a public official's voting record. Recalls are for when someone violates the public trust beyond reparations. By the process of elimination, it seems like this is about something else." Vella believes the group behind the recall is a small, but very angry minority in Alameda. "They are not the norm. They are persistent. I'll give them that. But they are the angry neighbor down the street that yells at kids to get off their lawn." Despite the lack of specificity in the recall effort, it's clear the entire Keimach affair not only cost the city manager her job (Alameda will continue the process of searching for a new city manager through the beginning of next year), but also cost Vella and Oddie financially in the form on legal bills associated with defending themselves against Keimach's allegations. Vella and Oddie's supporters urged the city council to indemnify each in recent months. The new Alameda City Council, to be sworn-in on Dec. 18, is more progressive than the last, and may take up the indemnification issue in the new year. When Keimach parted ways with the city, she received a settlement package worth more than $900,000. Vella voted against the settlement. An independent investigator's report last spring concluded that Vella had done nothing wrong but that Oddie had violated a provision in the City Charter barring political interference by the council. Oddie had sent a letter using city letterhead in support of a recommendation to Keimach for a fire chief candidate backed by the firefighters' union. Then two weeks before the November election, the Alameda County District Attorney's Office declined to charge Keimach for illegally recording Oddie and Vella, saying there was sufficient evidence before making the recording that Keimach believed Oddie and Vella might extort her by threatening her job if she didn't hire the fire chief candidate they wanted. Oddie and Vella, however, made no such threats. The timing of the DA's report likely impacted Oddie's reelection campaign. He failed to finish among the top two vote-getters and only stayed on the council due to the fact that Councilmember Marilyn Ezzy Ashcraft defeated Mayor Trish Herrera Spencer in the mayor's race. Because of a provision in the Alameda City Charter, Oddie will serve out the remaining two years of Ashcraft's current term. It also means Oddie must run for re-election in 2020 — while also resetting his service time.